Scams are very common in Thailand and they happen over and over again. It almost seems like all newbees fall into the same traps and even foreigners who have visited or lived in Thailand for several years aren't immune to being cheated. Moreover, lacking a proper judicial system and with the high corruptability of the society, even some foreigners are attracted to Thailand or are also tempted into engaging in scams. Scams or unfair practices probably happened to you, whether you stay short term or long term, whether you know it or not. A friend, girlfriend or someone you know is in trouble and asks you to help temporarily with money. Often, the amount is relatively low in western standards, something in the order of 2,000-3,000 baht to pay for the apartment rent or whatever, not the sort of money you would expect to loose a friend over. Not true for Thailand, some locals will cancel their phone number for that and you'll never see them again. (Dishonest) Thai people always have some family member in hospital who they have to support with money. 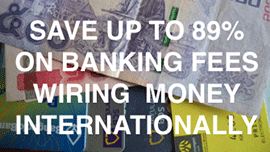 How to avoid: Simply never lend money to Thai and don't overly show that you are wealthy, this attracts loan seekers. Tell them you lent money before in another country and lost it and that you made yourself a promise not to do that anymore with no exceptions. If you do, you may loose your money and your so-called friend. Love makes blind and Thai women know it. (Some say men only have enough blood to let it rush into one place in their body at a time: their brain or another part of their body). Some Thai women are quick to take advantage of this. Problems arising from Thai women sneaking money from farang men, double dating foreign men who support the same girl, and kicking the guy out of the house or business after she has got it in her name are so common that in a way it's surprising that it can still happen. Scams with online dating happen very often, typically the girl asks for money to buy a bus ticket to see you and then doesn't show up. Some farang who decide to marrry a Thai girl after a while and travel to the village of the girl, even find out that the dowry he's just paid has been usurped by the entire village and she's not going to marry him anymore. One of the worst scams ever heard of is a guy who supported a women for several years to take care of their daughter, only to find out during a fight when the women couldn't control her temper anymore that the daugher is not his. Disregarding the financial damage, consider the emotional damage done. Of course, there are many exceptions and every guy thinks that his girl is different, but statistically you've got a high chance of being taken advantage of. How to avoid: However difficult in Thailand, try to keep your love life separate from your financial life, don't put big assets in her name, and only give her as much as you are prepared to loose. Always double check her background and don't assume all that is said is true. Only engage in financial matters with a Thai when you're 200% sure. Problems with prices arise especially when either the price or the service is left unclear before getting it. For example, take a tuc tuc and don't agree about the price upfront, or don't confirm an unclear destination. Or, more notoriously, walk into a karaoke, have a few hours of fun, and be confronted with an astronomically high bill (ten thousands of baht!). Some karaokes purposely try to rip off foreigners by overcharging, charging a lot of hidden costs and playing tricks such as letting a lot of different girls pass through your room for 10 minutes each and charging for each of them. 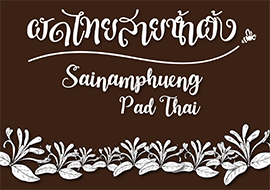 Another type of unfair practice happens when you walk into a massage parlour or an export shop that charges you more than the local Thai prices. Some shops even have 4 different menus: one for local Thai, one for farang, one for Korean and one for Japanese (prices go up in that order and can be twice or triple the normal price). There isn't much to do about this practice, as it's so widespread all over Thailand, even in musea, that it's not even considered unfair by Thai anymore. 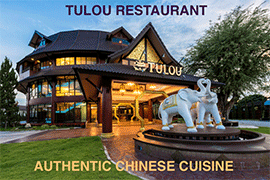 Some shops even mention on their menu in Thai that prices for locals are lower and not to tell foreigners. The best remedy is to speak (and read) more Thai, then often you can go for lower prices. How to avoid: Always ask for the price before you take a service. Let them specify all costs. 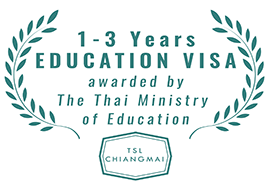 It helps if you can read Thai numbers and are proficient in Thai, however if you still look like a foreigner, you may still have to pay foreign prices. Dual pricing in Thailand is very common. Here in Art in Paradise, English prices are clearly advertised, however the prices for Thai are written in Thai numbers so as to hide them from foreigners. Most Thai don't think this is unfair. 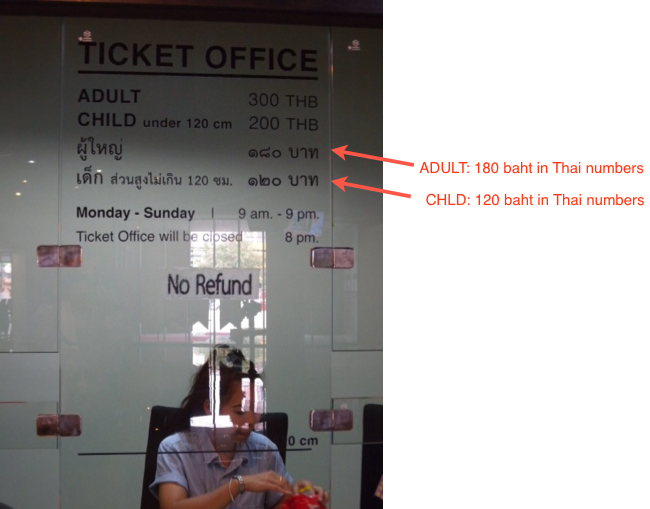 Price difference: Thai adults go for 180 baht, Thai kids for 120 baht. Whenever you see the words "guaranteed return", be very careful. For example, there are many property investments that guarantee 10% return during a few years. What they don't tell you, though, is that some companies that give the guarantee may go bankrupt and that you may have bought your property too expensive. Any verbal guarantee given by a Thai is as strong as his / her intention to keep it. Lifetime memberships are infamous. A recent example is California WOW Fitness that issued many lifetime memberships, but that went bankrupt. How to avoid: Mistrust any guarantees given and make your calculations based on not having the promised returns. Be prepared half of what is guaranteed. Thai society and economy is one where it's accepted that middlemen who help to close a deal get a commission. This means that in many cases when you're being introduced to a shop, a karaoke, or a property, someone in between is probably earning on it. In a way, it's fair, but sometimes the commission is just ridiculous and the person in between is just taking a quick and dirty profit leaving you to pay the bill which is beyond reasonable. An example is the tuc tuc driver who brings you to the 'best karaoke in town', they can be rewarded at several thousands of baht from your bill. Another example is the (freelance) real agent who quickly marks up the selling price with a few hundred thousand without the owner knowing it. How to avoid: For tuc tuc drivers, if you can't find the place by yourself, let your driver bring you there, but don't go in yet. Then go back the next day and ask for the normal prices. For any deal you make, make sure you verified the facts from the seller's side. If you run into some problem, big or small, you may run into foreigners who are willing to 'help' you. Not of of them are bona fide, unfortunately there are quite some around who make a living off cheating on other foreigners. Scams can be incredibly ingenious, some even set up entire companies and become part of an expat organisation to give themselves a status and get a network and to appear reliable. These guys know what they are doing, they prey on easy victims in emergency situations and they pretend to have a knowledge about Thailand that you don't have. Unfortunately, the many holes in the law and the ease to corrupt police attract many maffioso into Thailand. How to avoid: Be wairy of so-called Thailand gurus, especially if somehow money is involved. Some foreigners go into business in Thailand. Unfortunately, you can't do that by yourself, you always need Thai partners although there are several ways to protect yourself. Many times it goes well, but there are also numerous cases where the Thai partner just kicks you out or cheats on money, and although you have the right papers they can mean nothing if your Thai opponent pulls the right strings. How to avoid: Doing business in Thailand is quite difficult and problems are unavoidable. Read more about doing business in Thailand.